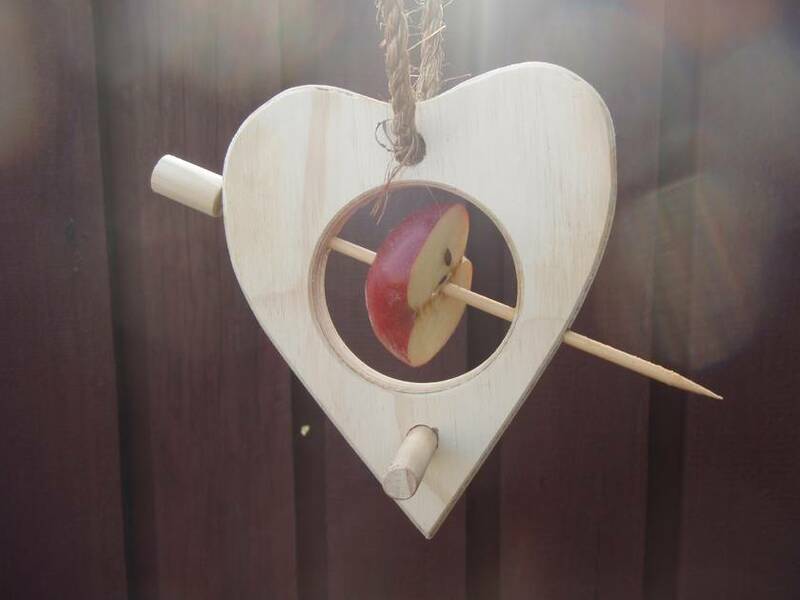 This attractive Birdfeeder makes a wonderful gift for yourself family or friends,simply add fruit of any sort,hang in the garden and enjoy. Nominate your shape and quantity. $3.70 Extra for rural deliver. Push dowel into hole in bird feeder until it is sticking out even on both sides,you may need to tap it with a hammer,this acts as a perch as the birds feed. Cut fruit to fit inside circle,you can use apple,pear,banana,etc,or maybe a bread bun or roll. 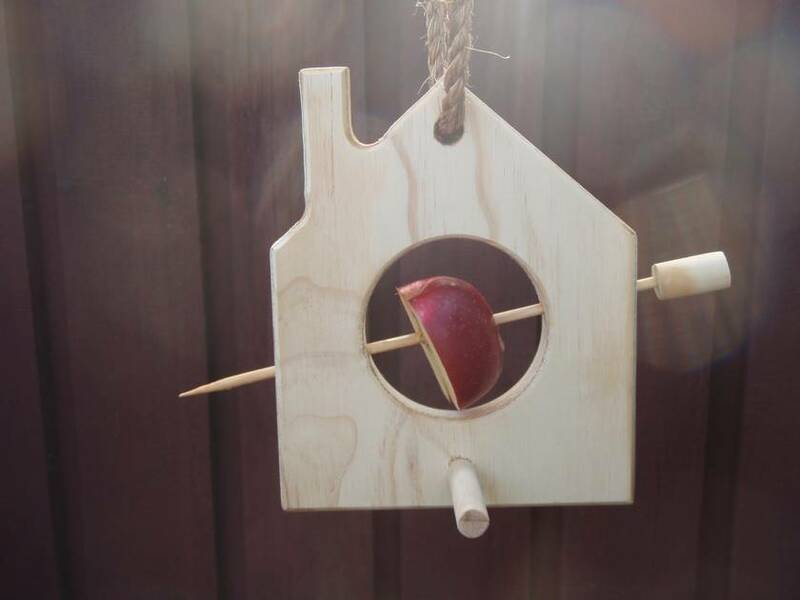 Push skewer through fruit from one side to other,remove skewer,hold fruit in circle and push skewer through hole in upper right side of feeder through hole already formed in fruit and through hole in lower left side of feeder. 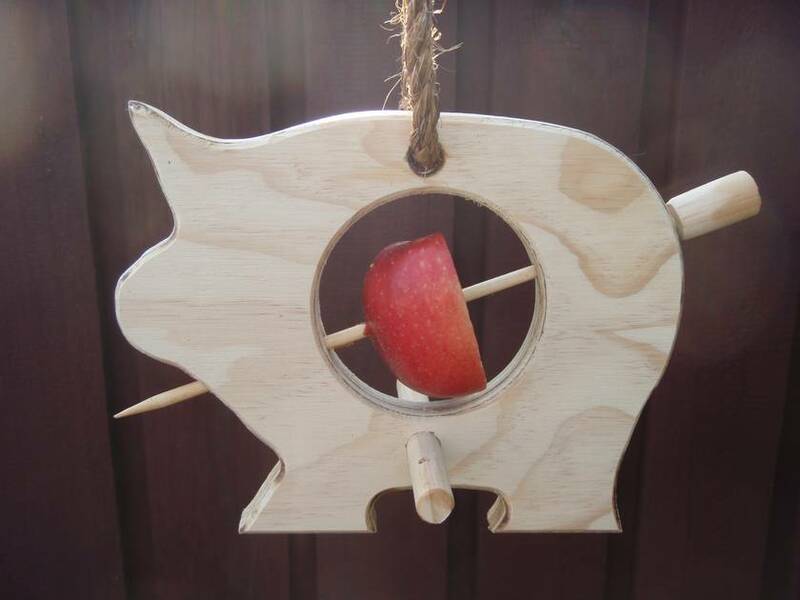 Hang bird feeder were you can see it from your favourite seat,enjoy. 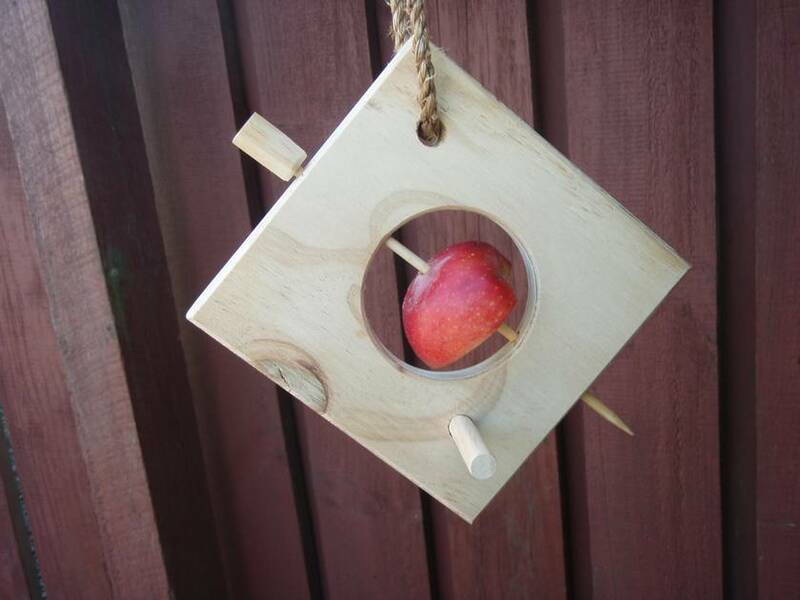 Our Bird-feeders are made with 18mm pine construction plywood, the laminates of construction ply are glued together with the same glue as used in marine ply,the plywood is not treated but will last for many years hanging in your garden. Contact funkybirdfeeder to enquire about payment or shipping options.